Not a bad list. Ours will come out soon, and I'm interested to see if there is any overlap. "ONE METER SHORT". 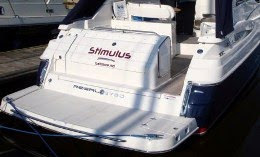 I saw a couple of boats with this name an its a cruel reality. I thought the "BABA GUMP" from the movie Forest Gump would be on the list.